Automate your scheduled calls on emails by providing a scheduled link for a automated scheduled callback. One powerful feature of the scheduled call feature is being able to embed it into your emaills. By providing a scheduled link for a automated scheduled callback, you'll be able to engage ongoing customer for calls easily, removing the hassle of back-and-forth emails. Setup is easy. Let Novocall know your time slots. 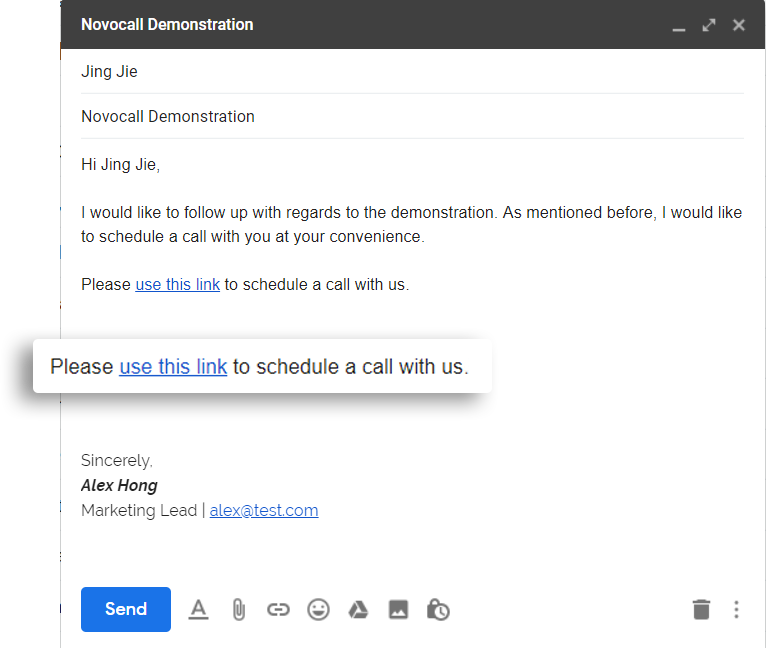 Share your Novocall Scheduled Call links via email or embed it on your website.